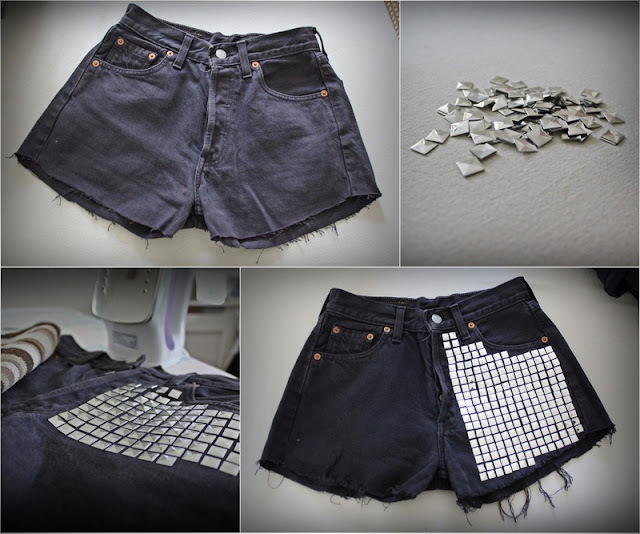 Hi Everybody i found this very lovely DIY making by one of my favourite Blogger *Style of a Fashonista*! You can Buy the Iron on Studs/ Bügelnieten on Ebay they are so much easier to apply as you don't need any tools. Wow! That's nice. =) I'm definitely gonna try that. I think I will do it with my pants ! This is really cute and awesome! I never really thought about doing that to my shorts I just wanted to buy some just like the ones you just made. Great blog post! Hope to see more of you! love those shorts!! they look amazing!! you've a ew follower now, hope to read more!